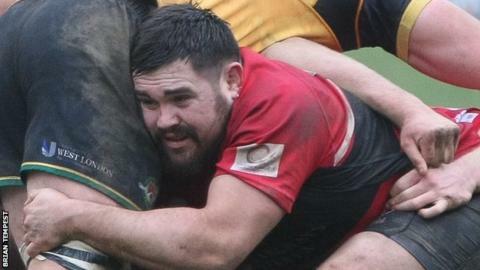 Cornish Pirates forwards Marlen Walker and Danny Cutmore have agreed new two-year contracts at the Mennaye. New Zealand-born prop Walker, 30, initially joined the Pirates in January 2015 and played his 100th game for the club against Ealing last weekend. Cutmore, 21, is a former England Under-17s lock and joined the Pirates last summer having been part of the academy at Premiership champions Saracens. He has so far played 19 games for the Championship club. "We are all aware that Marlen has been a stalwart in recent times, " said Pirates co-head coach Alan Paver. "He has proved to be quite formidable in the scrum, is dynamic about the field and has good ball skills, so to be able to keep that quality and keep the continuity going in the front row is a massive plus for our squad. "Coming near the end of his first season with the Pirates, Danny was a young man who naturally needed a little more development, but the big thing is that what we got from him was bags of attitude. "His game around the contact area has really improved and he has proven to be quite a handful in the line-out. He is a good personality around the team, and with more to come he'll be one to watch for the future."